Ready to experience the TDC? 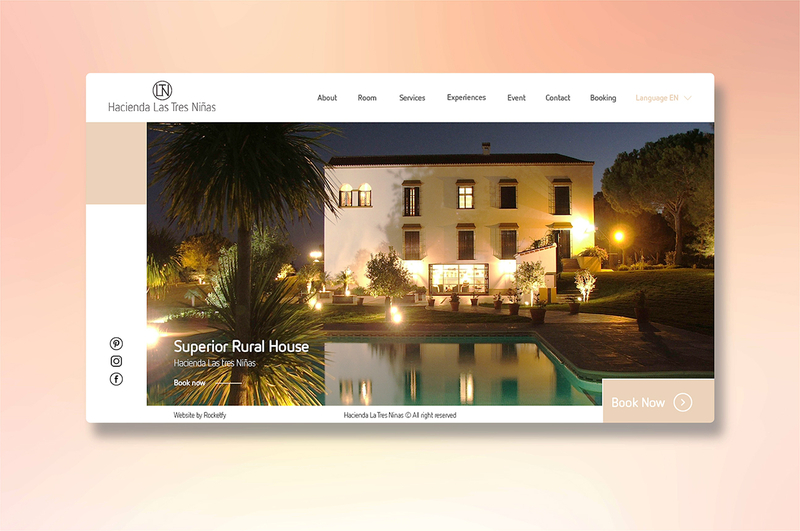 Web development of Hacienda Las Tres Niñas, a boutique hotel full of Andalusian charm and tranquility in the middle of an olive grove, half an hour from Seville, with reservation management and payment system. A great project for a unique hotel, web design and development for Hacienda Las Tres Niñas. With an exclusive design, it transmits the Andalusian charm and tranquility that is breathed in the Hacienda Las Tres Niñas. In La Puebla del Río, half an hour from Seville, a step away from Doñana. Surrounded by an olive grove, with impeccable personal service, all the luxury of disconnecting. Spacious rooms with a careful design, terraces, lounge bar, gardens, swimming pool, horses, ... The perfect place to live an unforgettable experience. The website has direct booking management and the implementation of payment systems. Rocketfy, software development company and web design in Malaga. Specialists in cross-platform application development . We also do digital marketing, search engine positioning and advertising campaigns on the Internet.